William Atkinson has done the Pentecostal world a great service with his short, clear, and readible book on the Baptism in the Holy Spirit. 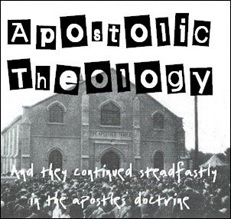 As the subtitle points out, the focus is on the debate started by James Dunn 45 years ago with his book Baptism in the Holy Spirit which argued strongly against the Pentecostal position. For anyone outside the Pentecostal academy it might seem strange to focus on a book from 45 years ago, but that’s just how influential Dunn’s book has been; it has largely set the agenda for Pentecostal scholars’ work on the baptism of the Spirit from its publication in 1970 until now. And this is where Atkinson’s book is so useful. You see, many of the Pentecostal books interacting with Dunn have been very long and dense, and they all make different arguments. But Atkinson manages to sum up and sift the main lines of argument over these last 45 years. He’s willing to reject Pentecostal arguments where they’ve been weak, and in so doing actually strengthens the case of the Pentecostal perspective. 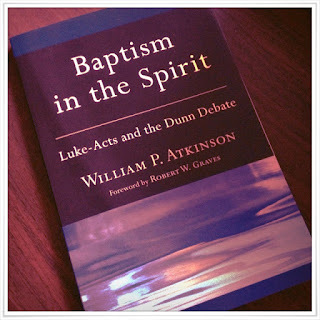 Although the subtitle refers to Luke-Acts (for that’s where most of the debate has taken place), unlike some other Pentecostal scholars, Atkinson sees the importance of setting Luke’s contribution in the wider context of Scripture, and so in a chapter on the canonical context, he takes a brief foray into Paul and John to see how they relate to what we learn from Luke-Acts. Finally, Atkinson also considers some practical and pastoral lessons in his last chapter. Thus, unlike many books and journal articles on the topic which leave you wondering how the contribution relates in practical terms to church life, Atkinson’s contribution speaks not only apologetically in defense of the Pentecostal position, but also practically to the life of the Pentecostal church. 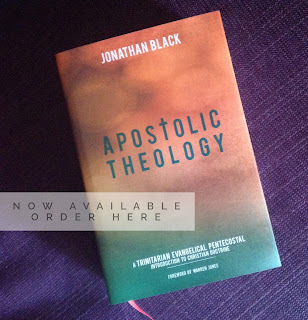 This is the first book I would now recommend to Pentecostal pastors and theological students as a defence of the Pentecostal doctrine of the baptism in the Holy Spirit. And I’m not only talking about pastors with theological training. Every Pentecostal pastor needs to be able to defend this distinctive Pentecostal doctrine – for even if you somehow never encounter the objections of non-Pentecostal Christians, people in your congregation will. Atkinson provides a fantastic starting place, so get a copy quickly and read it!